Biggest Russian Dogshow EURASIA 2014. 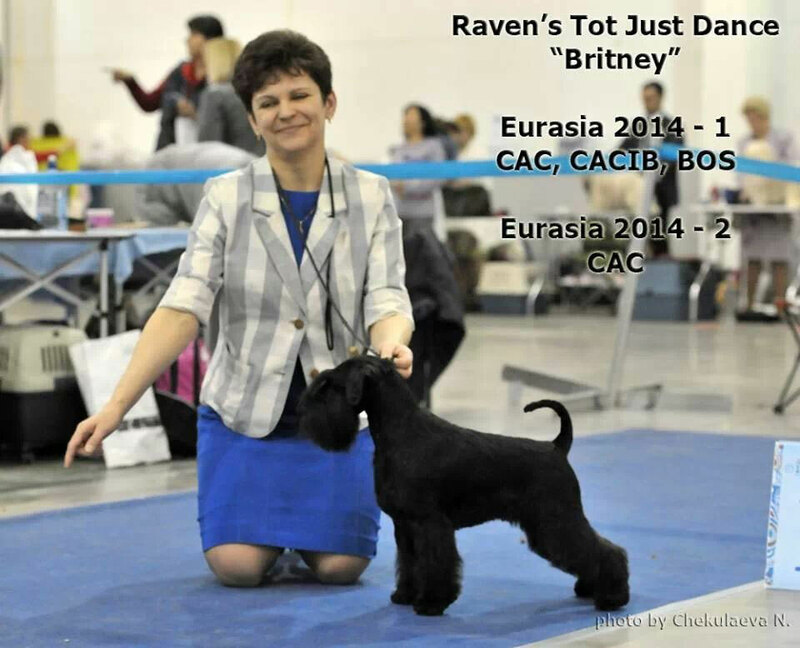 Our Britney - Raven's Tot Just Dance was shown in intermediate class both days. 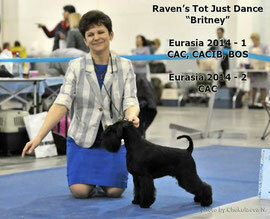 Britney won her class and was Best Female, getting CAC, CACIB, title Eurasia Champion. Eurasia -2. Judge Ole Staunskaer. Britney won her class and got CAC.